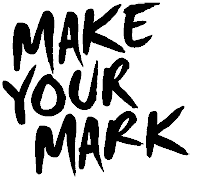 Make Your Mark is a site for young people by Middlesex University London. Explore your journey into higher education and beyond, and achieve the future you want with engaging advice for succeeding at school, college, careers and life. Achieve the future you want with engaging advice for succeeding at school, college, careers and life. This page outlines the top five brain foods. Achieve the future you want with engaging advice for succeeding at school, college, careers and life. On this page Middlesex students answer your biggest questions about university. Achieve the future you want with engaging advice for succeeding at school, college, careers and life. Welcome to Make Your Mark, learn about your tour guides here. Achieve the future you want with engaging advice for succeeding at school, college, careers and life. This page contains information for diver-analysers! Make Your Mark is a site for young people by Middlesex University London. Money, budgeting and student finance advice for students aged 11 – 16. Helping young people achieve the future they want. Achieve the future you want with engaging advice for succeeding at school, college, careers and life. This page explains A-Levels.